Given how often we see Lionel Messi and Cristiano Ronaldo scoring free-kicks from all angles, it would be easy to assume they’re the greatest of all time from set pieces. However, when it comes to number of goals scored from dead ball situations, they’re not even on the top 10 list. In fact, they probably won’t be too happy to learn that even a goalkeeper is ahead of them, according to a list from Give Me Sport. 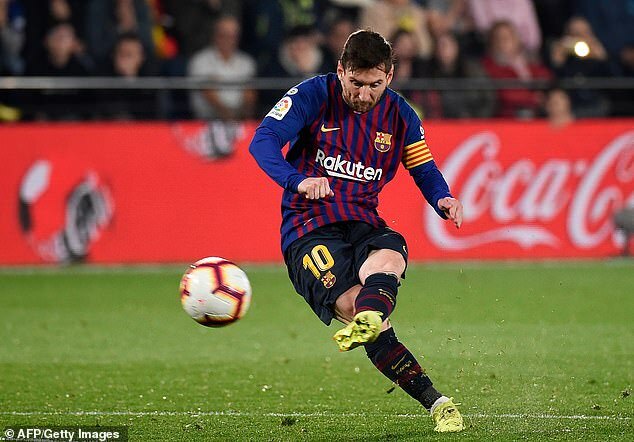 Over the past two weeks we’ve seen Messi add a couple to his tally, including a beautiful panenka style shot from the edge of the box. He’s now on 47 free-kick goals in his career. His rival Cristiano Ronaldo has stepped up from his trademark pre-free-kick stance to score 53, giving the Juventus star an edge. However they both have some way to go to catch up to former Lyon player Juninho Pernambucano, who scored a whopping 77 free-kicks. The Brazilian retired in 2013, but both Messi and Ronaldo will need to up their strike rate to top him.